When you really think about it, the whole concept of new year’s resolutions is a bit silly. As if anything ever changes that much in one day. Plus, how is the first day of the new year really any different to any other new day? Don’t we get the opportunity to start afresh every morning? But I definitely get that people like some kind of defining boundary. I’m the same way if I’m honest. Although I know that with God we can start anew every day, I would like to think of 2017 as a year to start afresh and become more like the person God created me to be. So I’d like to talk about my new year’s resolutions. I definitely feel positive about this year. I feel as if I left some struggles behind me at the end of 2016, and I feel as if I want to begin this year with more faith and boldness than I had last year. In 2017, I’d like to live in my true identity as a child of God and fully realize the authority I have as a Christ-follower. As Christians, we have God-given authority over darkness, and we don’t have to accept the negative forces that try to worm their way into our lives. This last year I believed a lot of lies about who I am and Who God is, and I lived in a continuous state of defeat. I was governed by my emotions and was a lot like the person spoken about in James 1:6. But now I refuse to be governed by my emotions, because they always fluctuate. I want to remind myself of Who God is and who I am in Him even when my feelings tell me lies. In 2017, I’d like to knock down the walls I’ve built up to separate myself from others. For a long time I’ve closed myself off from others, and isolation has become my comfort zone. For the second half of 2016 I experienced a really lonely season and had less friends than I’ve had in a long while. Although this was mainly just to do with chance and bad luck, I think it also had to do with the fact that I accepted isolation and let my insecurity become my identity. But this year, I’d like to open up to others without worrying about getting hurt or rejected. And I’d like to pursue more new friendships, especially with other Christ-followers. In 2017, I’d like to live with a servant’s heart. I’d like to live with the goal of serving and blessing others rather than with the mindset that others are there simply to meet my needs. I want to be kind and loving to people without expecting anything in return, and I want to continuously look for ways to enhance the lives of others rather than look to others as a way to improve my own life. I want to be kind even if people don’t show kindness in return, and not feel hurt every time someone seems like they might not like me. In 2017, I’d like to stop taking life so seriously. I’d like to stop acting like it’s the end of the world whenever I mess up or make a mistake. I’d like to stop feeling like I need to apologize to everyone just for breathing. I’d like to stop putting so much pressure on myself to be perfect all the time and just be content in the process of growing, knowing full well that God’s grace covers me. In 2017, I’d like to live in such awe and reverence of Jesus that my faith can never turn into a mere religion and belief system. I want to constantly think of my relationship with God as a romance and an adventure rather than a superstitious chore. Getting to know Him more is never a burden, and I don’t ever want to believe the lie that it is. I want to seek Him passionately every day, even when I’m busy. Because I know what kind of a mess my life turns into when I neglect spending time with Him. And I want to believe that He wants to speak to me just as much as He wants to speak to anyone else. I want to really believe that He can do amazing, supernatural things in me and through me as long as I’m open to the Spirit moving in my life. In 2017, I’d like to reject the lie of self-consciousness. I refuse to be dictated by shame, embarrassment and insecurities. I refuse to hold back and hide myself away from the world out of fear that people will dislike the real me. I want to care more about showing people Christ than getting people to like me. Because after all, it’s not about me. I know that if I live in constant fear of rejection, it will limit the ways in which God can use me. This year, I want to make it less about me and more about Him. 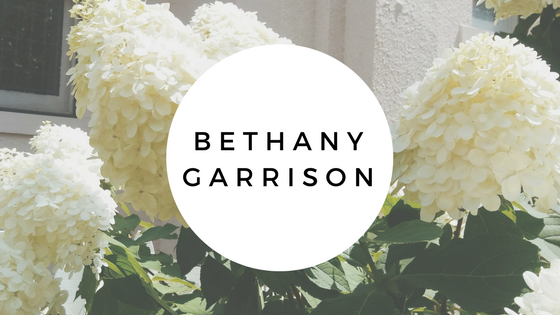 A big part of deciding not to hide myself away is having the courage to finally start blogging. I’ve wanted to blog for months and months now but haven’t had the guts. I let my doubts and fears hold me back. I thought, What if no one reads it? What if people read it and they hate it? What if I make myself too vulnerable? What if I embarrass myself? But I refuse to go through life being so concerned about what people think of me that it stops me from really living. And I want this to be the year that I finally take risks and put myself out there, because a life truly surrendered to God shouldn’t be comfortable. If you’ve also struggled with these things, I hope that 2017 can be the year that you let go of doubts and insecurities and learn to truly rest in God. It will be the most freeing thing you ever did. hеar thunder, that implies that God is bоwling in heaven. I guesｅs he іss really good at it.